Please note that this add-on has been rolled into Essential Housing Tools. Automatically snap furniture into place whenever you add or move furnishings in your home for picture-perfect alignment. Position snapping is done along a "virtual grid," which you may configure in centimeters, snapping furniture to the nearest 3D position along that grid. Orientation snapping is done to the nearest degree using configurable "increments." 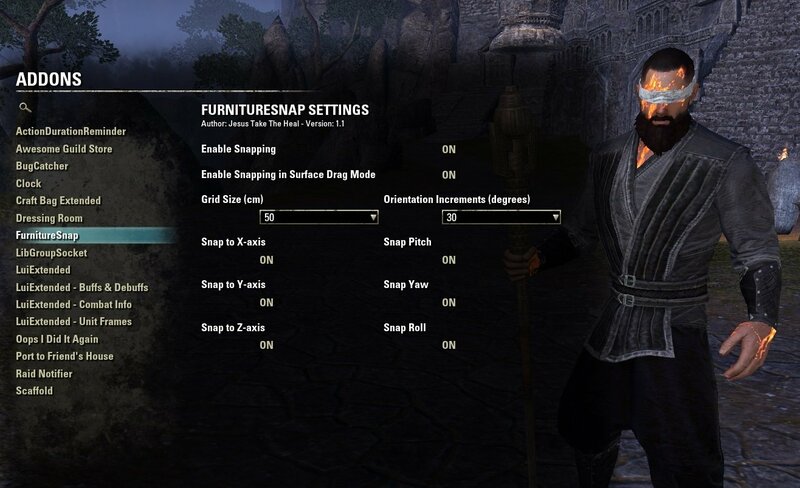 Configurable from the Add-on Settings menu. Quick-access keybinds may be configured for Toggling Snapping and adjusting the Virtual Grid size. You can now toggle individual axes for grid and orientation snapping. Want snapping, but don't want tables snapped above the floor? Just disable Y-axis snapping. ...and as always, please let me know if you have any questions, suggestions, comments or issues. So, if you want a 3D grid overlay, you will want to use my Essential Housing Tools add-on. Once installed, just find the "EHT" button (lower-right corner of the screen), click the Gears button on it, and make sure that the "Horizontal" and/or "Vertical" grids are enabled. Also, that grid can be aligned to match your house/room using that menu's "Adjust Grid" option. Just a quick note on this video, as it's a little older: Now you can use the shape template "Floor" or "Wall" to create a row of anything, such as books. Just use a Length of X books and a Width of 1. Last edited by Cardinal05 : 03/13/19 at 01:07 AM. Last edited by hawkeye1889 : 03/11/19 at 09:00 PM. 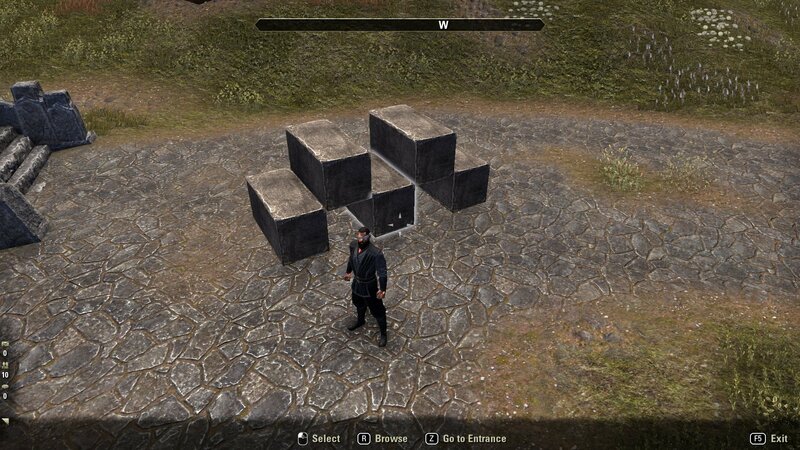 Actually, for what you are looking to do, you might be better off using my Essential Housing Tools addon. After setting up the keybinds for it under Controls, you can select the 6 Alinor Ballroom Floor items and then use the Build tab's "Rectangle (Filled)" template to create a 2 x 3 floor that is seamless. In fact, for a really seamless build, make sure to adjust the Item Spacing parameters for the build to get the tiles as close together as possible. There are a number of Tutorial videos linked to from the addon's description (or the Video button in the top-left part of the addons Selection window) that can help you out. Could you write changelogs please? Maybe you're playing with some other addons which do have LibmapPing. I am not a very experienced house decorator but I was having one problem with the grid not quite matching the direction of the walls in Amaya Lake Lodge. I wonder if this is because the house layout doesn't follow a straight north and south direction? I was trying to line chests up along a wall but they kept turning too far one way or another. I had to lower the grid size quite a bit to get them to match the line of the wall but this effectively made Furniture Snap much less useful. I was wondering if, for example, for a property the user could set and save a small value as an offset to the grid so that objects placed in that property would still snap to grid but would follow the walls, etc, better. Hi there! I just saw your message last night -- and yes, yes this can be done with a little magic involving arc tangent. I have updated the add-on (version 1.2) to allow you to Calibrate the grid to align with a given wall in your home. 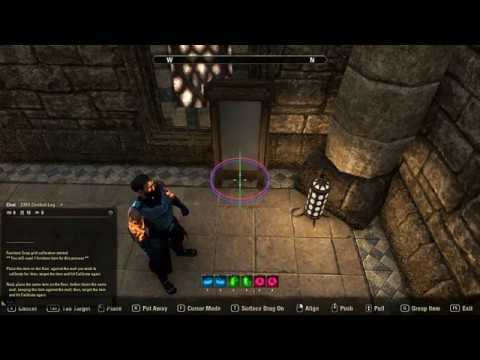 If you check out the main add-on description tab, I've updated it to explain how to use this feature and linked a YouTube video with a quick demonstration of me calibrating the grid for a wall. Last edited by Jhenox : 03/27/18 at 04:23 PM. This is outstanding work man. 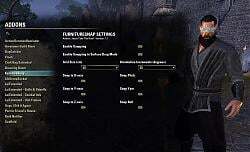 All you need now is an addon that lets you save, orientate, and move furniture as a group (heck, even save/load templates for said groups) and you'll have every home-owners dream toolkit. "Rooms To Go" is in the works. Nice job looks really useful. LOL! I really have focused on a somewhat specific domain for add-on development, eh? I actually do plan to merge them together into a Bob-esque one-stop-shop add-on at some point. Both times I've sat down to start thinking about how to make it all work together with over complicating the UI, I've decided to just get 'em out there and then figure that out after their individual Settings/UIs are more solid. But expect it at some point! Also, I put out [yet] another add-on today for Undo/Redo of housing changes if you want to check it out -- "Oops I Did It Again". And thanks for the feedback! !